Italian Dario Cataldo is starting a new chapter in team Astana after working for Bradley Wiggins and Chris Froome at Team Sky. After two years at the British WorldTour team, Cataldo did not receive a sufficient offer to continue in its colours. “At my last race in China last year [the Tour of Beijing], I felt that my team-mates were sad that I was leaving,” Cataldo told Cycling Weekly. The Italian from Abruzzo joined Sky in 2013. He rode for Wiggins in the 2013 Giro d’Italia, helping the team to the time trial win on the island of Ischia, and supported Froome to second overall in the 2014 Vuelta a España. Cataldo placed 12th twice in the Giro d’Italia and won a stage in the 2012 Vuelta a España with Omega Pharma before joining Sky. In Great Britain’s super team, he worked for the leaders and had chances like in the 2014 Giro, where he placed second on the Oropa summit finish behind Enrico Battaglin. “Don’t try to get me to make too many comparisons between Sky and Astana. Every team has its positives and negatives,” he said. Sky let mountain men Cataldo and Joe Dombrowski go over the off-season to make way for Wout Poels, Nicolas Roche and Leopold König. Cataldo signed for the Kazakh team in turquoise, but kept a few lessons and memories from Sky. “It was a big and positive experience both personally and professionally,” he said of Sky. 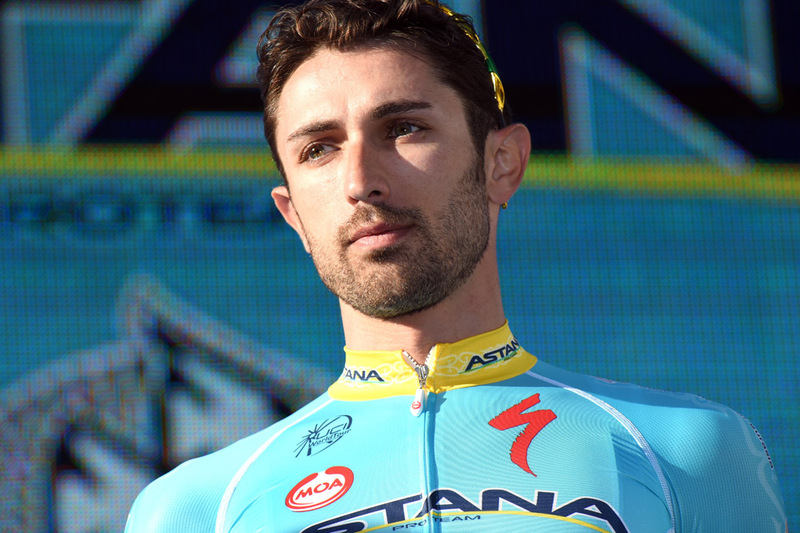 Astana scheduled Cataldo to support Sardinian Fabio Aru this year in the Giro d’Italia. He is not on the list to support Nibali in the Tour, but explained that could change.